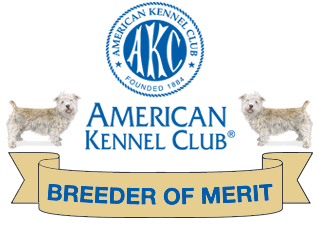 If you are looking for a Glen of Imaal Terrier puppy, the Glen Breeders of Merit website has a breeder referral list to other Glen of Imaal Terrier AKC Breeders of Merit. Kudos to the people who have volunteered their time and resources to make this thorough and extensive database available to serious Glen researchers. Searchable pedigree database includes inbreed calculation tool, PRA and heartcheck results, some picture pedigrees. Access is for registered users only. Register online from the “Database” page, or use this link. country-of-origin breed standards for all 339 FCI recognized breeds. Irish Glen of Imaal Terrier Sporting Club of Ireland an Irish organization dedicated to maintaining the working abilities so crucial to the temperament of the Glen of Imaal Terrier. Club information, membership, show & event information, and photo galleries. with loads of pictures from shows as well as informal galleries, mostly from Great Britain but including a few other places as well. Spanish Glen site with links to more Glen sites around the world. Danish Glen site with links to more Glen sites around the world. 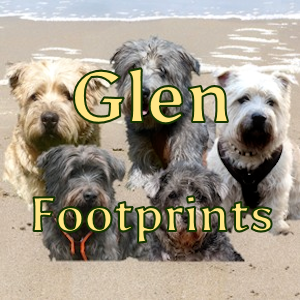 Originally a rescue site; this site lays out very bluntly the challenges of the Glen of Imaal Terrier’s complex nature. Just in case you would like to explore other Rare Breeds. This Rare Breeds Showcase WebRing site is owned by Ara Lynn.